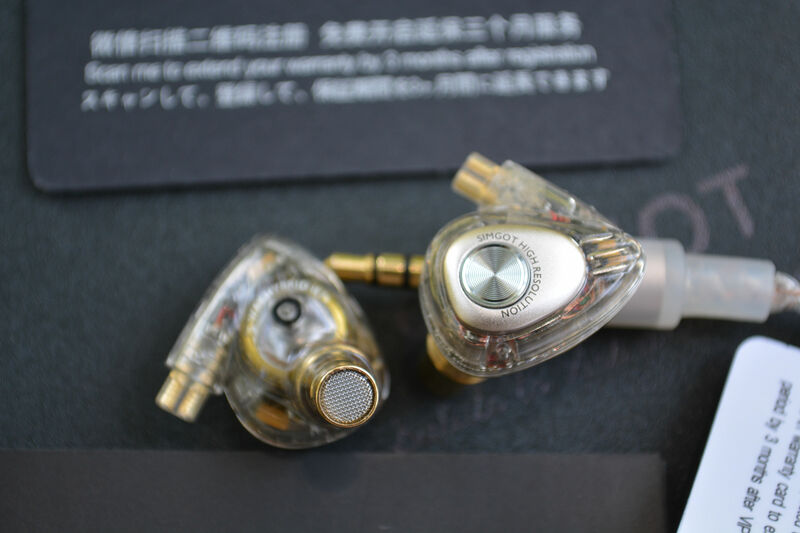 Very good sound, nothing, which doesn’t please the ear. Cons– Would prefer a bit more bass. Removing the top cardboard-covered foam protector, you are presented with the “Accessories” box, which contains the cable and tips. 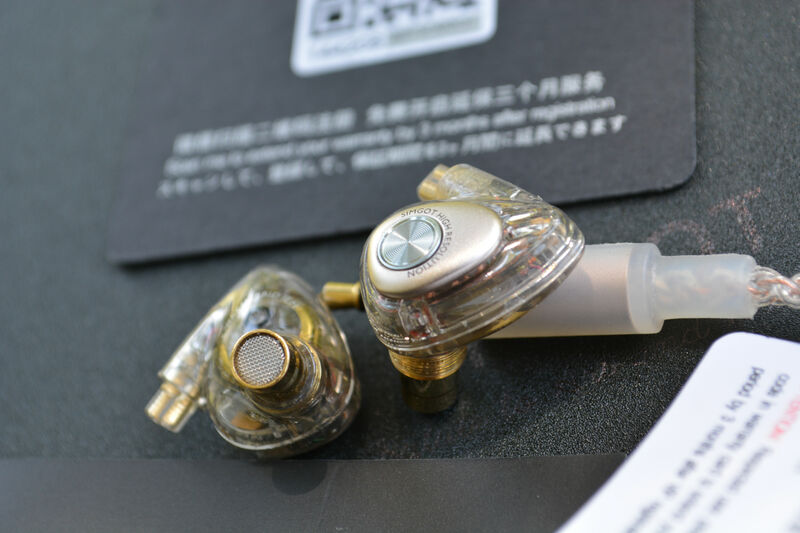 Included tips are thoughtfully labeled for two purposes: Eartip 1, which provide Powerful mids, and crystal-clear sound, and Eartip 2, which enhances the bass giving a more neutral-bass oriented sound.A nice touch defining both sets, which come in the ubiquitous S/M/L size. Also included is the Velcro cable cinch, which mostly stays in the box for me, a leather cable holder with magnet to clamp together…and two instruction cards. 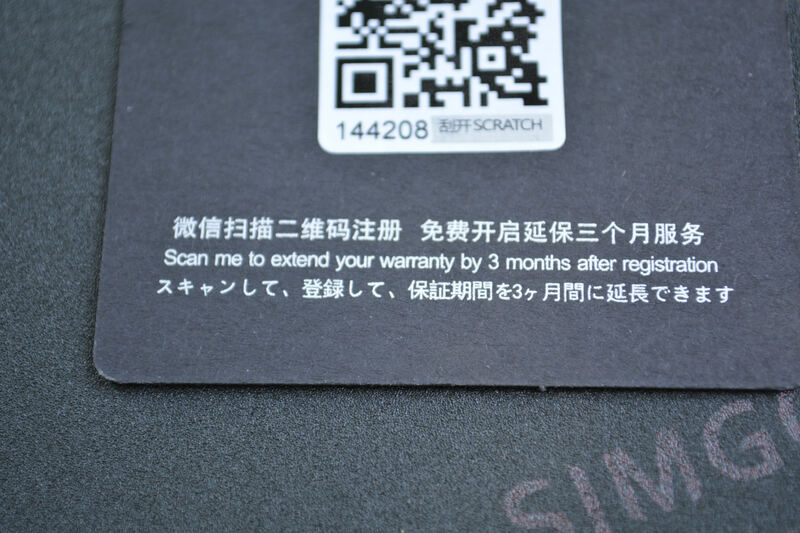 One the dedicated manual, and the other thicker paperboard, which has a QR code to be used as warranty registration. By doing so, the owner can extend the existing 1-year warranty by 3 months. 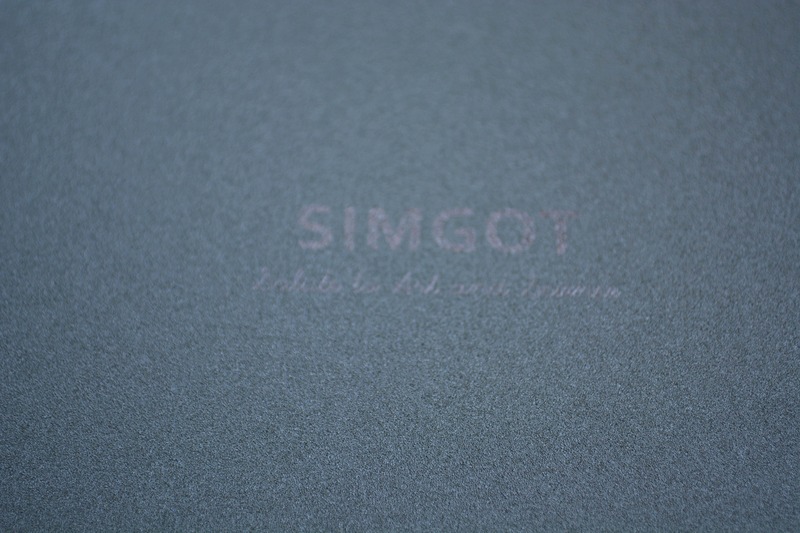 Another nice addition by Simgot. I’m beginning to understand the company a bit more, and the fervent following some of their other productions warrant. Nice indeed. With good air and layering, I find this adds to a good wide soundstage. A bit wider than tall or deep; the soundstage is like a good panoramic. You get everything you need in that frame, and do not miss a whole heckuva lot. And to me, what sounds analytical with silicon sounds closer to natural with foam. While that analytical silicon sound is still good, for me I prefer the more natural tendencies. Heathensfrom twenty one pilots sounds simply sumptuous through the Opus #2 and EM5. With enough up top, somewhat sparkly, to keep one interested you bounce to Van Morrison’s excellent Take It Easy Babyas if you were in a good juke joint. It’s Just My Heart Talkin’typifies how the pair work together. 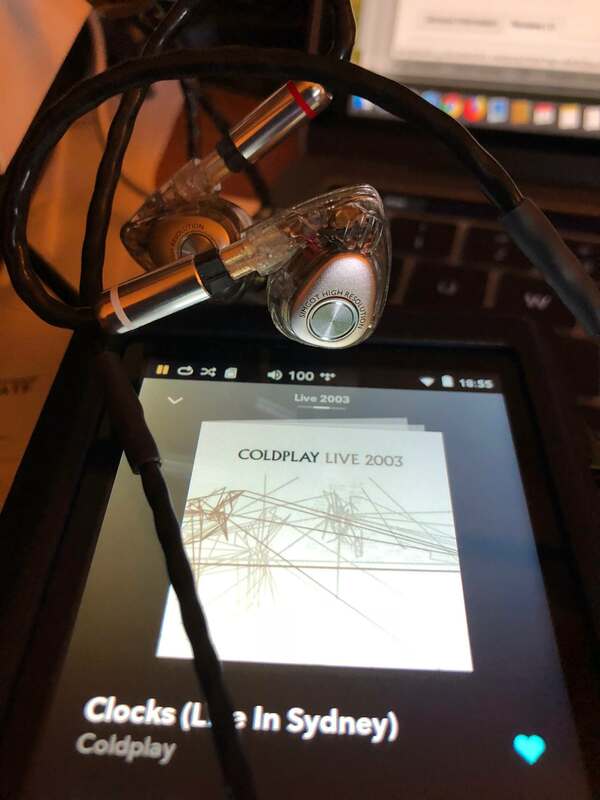 Toe-tapping, this would be an excellent work out IEM, if’n it didn’t cost half a G. Reserved for cold winter nights this sound would warm the heart with your favorite tunes. Good stuff, indeed. Switching back to the included cable, I still get that sense of airiness. 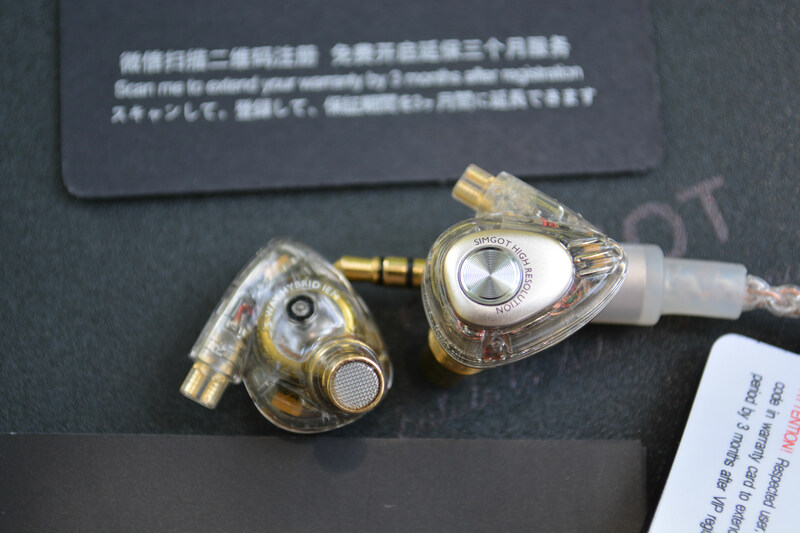 This is a fun sounding IEM, complete with the support of a solid foundation. Good bass (almost enough for me), mid-forward mids (with that slight artificiality), and a good reach of treble (aids that airiness) provide the sound, which would work well in a commuter setting. Again, more bass and I would be quite smitten. Please don’t let that dissuade you from this though, it shouldn’t. Listening to Trees, I forget all about the fallacies of the Simgot, and just listen. 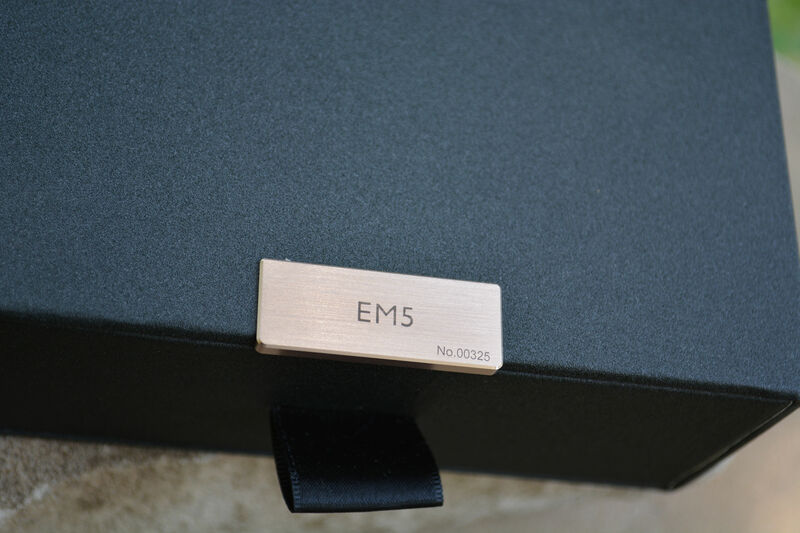 Using the OEM cable gives the EM5 that airy sound, which many seem to like. While I do not mind that, it is the fun-nature of that sound, which I like. One of my current favorite songs, Treesprovides the variety needed to fully understand the roots of an IEM, or headphone for that matter. 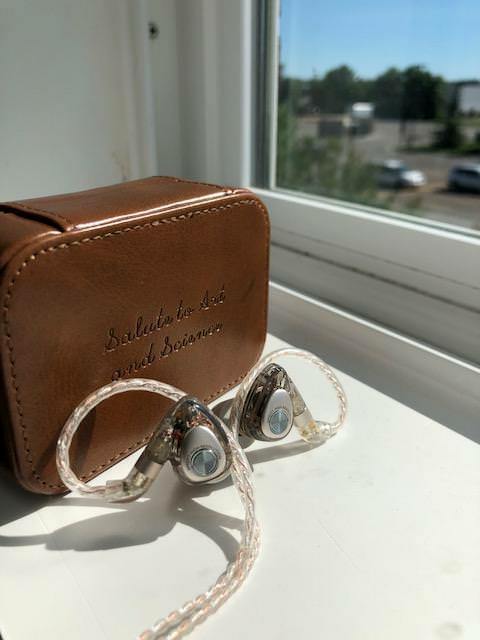 A solid bass line, treble and very busy mid-section provide the listener with enough to fully understand the strength’s AND weaknesses of an IEM. And here is where I part with the accolades. If I had to pick, and I will, for I would be remiss if I didn’t, the EM5 is a bit bright on some songs for me. A tendency to “overpromote” the treble sound, my tender, treble-sensitive ears cannot take loud volumes for long if the song has a cacophony of high end sound. 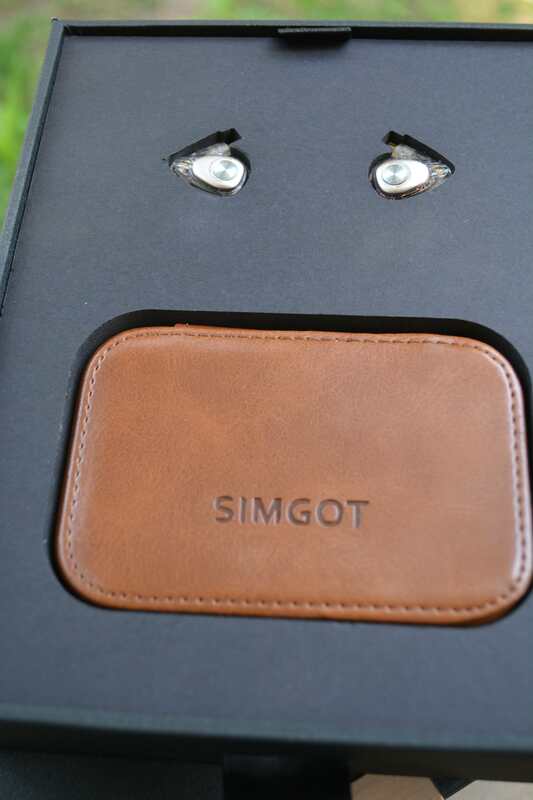 If one likes that bright-ish sound, then by all means the Simgot is worthy of a good long look. 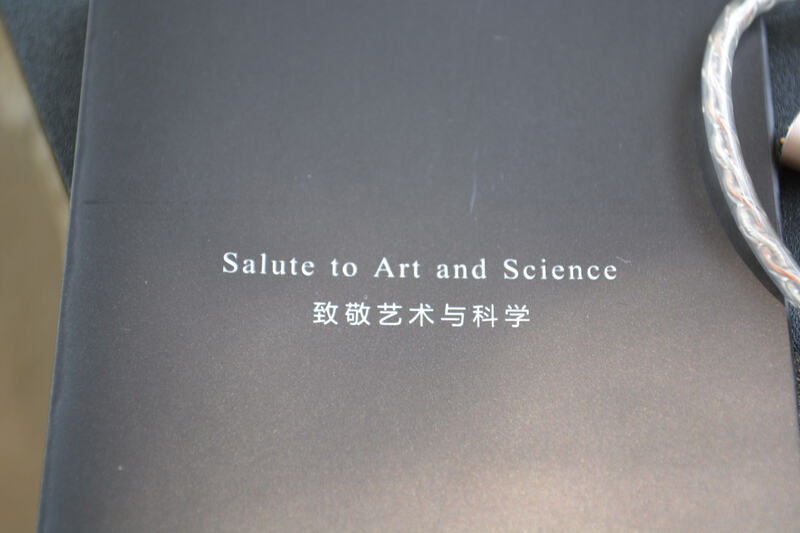 If you harbor sensitivity, then take what I have written as asmall caution. That said, Nobody Elsecomes on from Los Lonely Boys, and I tend to forget what I just wrote. I sit back and enjoy. The duet vocals sound quite splendid through the Opus #2 and EM5. 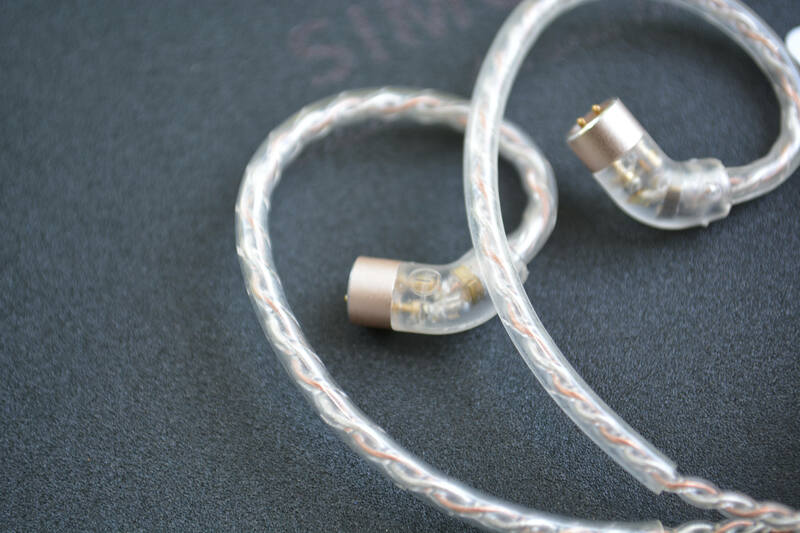 The first thing of note when comparing the Simgot EM5 to the Campfire Audio Jupiter, is the velvety smooth midrange of the Jupiter, and how easy they are to drive, when compared. This is darn near nirvanic of quality. And as the “original” CA flagship, I can see why so many fell in love with the Jupiter. Separation on the level of gas stations in the western U.S., the Jupiter cannot hide anything. Laid bare are any failings of sound or artist. This can of course be good and bad. On Diana Krall’s Besame Muchoher sumptuous voice sounds ethereal. That separation allows the air between notes to be clearly heard. 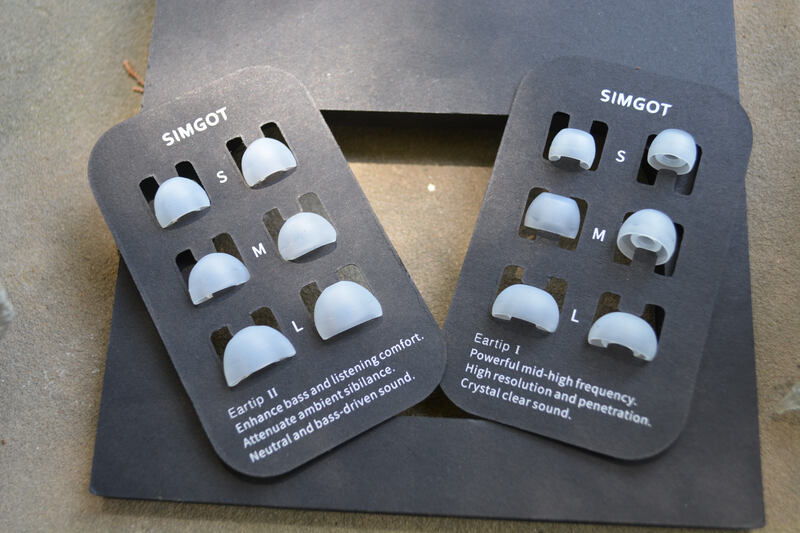 While better than the EM5, the Simgot is no slouch by any means. On the follow up song, Dire Straits Heavy Fuel, I prefer the sound provided by the EM5. Almost like being in a hole, the Jupiter falls behind here. But still not that bad. Both are very good. Both are of a different tone and can be complimentary if they reside within your abode. Thus, I will not be drawn into which is better. As for an old friend the Vibro Labs Aria(R.I.P. ), there is still that intimate sound emanating from them. With decent sub bass reach (slightly behind the EM5), but better upper bass punch, it is a tradeoff. Harder to drive, one much crank the volume to be able to hear what the Simgot can at lower volumes. With slightly less air between notes, one can surmise this accounts for a good part of that intimacy. And you would not be wrong. For what the Aria gave at the time, it was quite good. But, in only 3 years has been surpassed by many, many offerings. That said, there is a certain almost-holographic nature to its overall qualities, which can be quite intoxicating in which to imbibe. But, time has passed, and the EM5 is better in almost every way. This should not prevent one from auditioning a used Aria, if one has the chance. Fit and finish are superb, and the walnut face is beautiful. 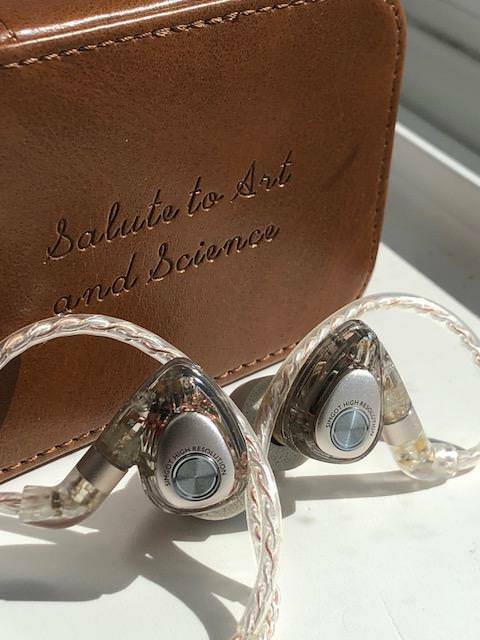 This is still one of the best fitting IEM’s I own, and one in which I do still cherish. Well. What might this mean? It means that you have many, many choices from which to decide. And that is not a bad thing. As such, manufacturers are in constant need to provide some “trick” or something “new” to their products in order to sell. And here is where I disagree. One does NOTneed a new trick in order to compete. One need only fine tune or “update” a current model. Think of how long the Porsche 911 has been around. Think of all of the models represented since its inception in 1963. One does not tend to alter too much a classic of such nature. And in those 55 years the 911 has become the iconic sportscar, with many, many varieties to pique one’s interest. And this is what separates it. Others modify or change (save the Corvette, possibly), Porsche solidified with differing models of the same base. 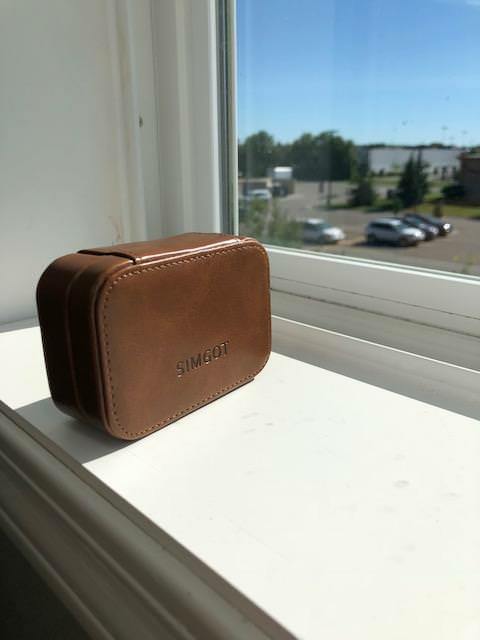 And here is where I could see Simgot going with the EM5. Going back to what Alex said (yes, I know I have quoted him a good bit, but it is from that which I draw a comparison), the main difference between the EM3 & EM5 is the upper end. A tweakof driver count and upper end ability. They didn’t redo the whole thing. They added to an existing base. Yes, the EN700 Pro is of the same heritage, but think of that as the base model, the EM3 the Sport, and the EM5 the all-out 911 Turbo.